Cannabis pays. From trimmers, stock clerks and budtenders to master growers, chief extractors and C-suite executives, all are more likely to make at least as much or more money than comparable positions in mainstream industries such as consumer goods, alcohol and agriculture. 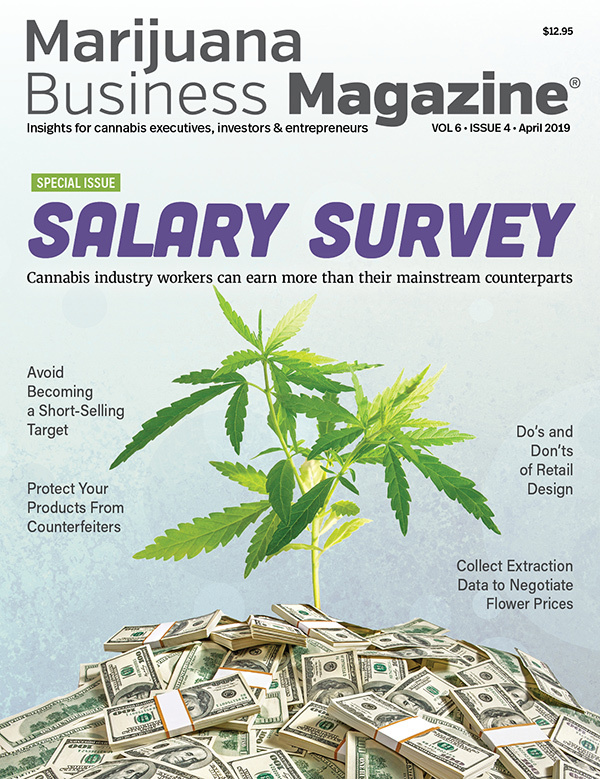 That’s what Marijuana Business Magazine number crunchers—led by research and data analyst Maggie Cowee—found after analyzing salary data provided by HempStaff, Vangst, Viridian Staffing and Glassdoor. Some, but not all, cannabis job recruitment experts notice the same trend, particularly when benefits such as stock options, health insurance, vacation and other perks are included. “What we’re seeing is that they’re in line or a little bit more competitive when you look at the full package,” said Karson Humiston, CEO of Denver recruitment firm Vangst. The company’s latest industry salary report found that cannabis salaries grew more than 16% between August 2017 and August 2018, with many jobs earning six figures, including lead cultivator, lead extractor and compliance manager. A tight labor market nationwide. A willingness to dole out stock options. 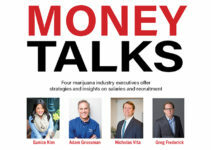 The competitive salaries and the declining stigma around marijuana are drawing top-level talent—including Ph.D.s, Fortune 500 alums and Wall Street veterans—into cannabis, potentially driving up salaries even more as competition for candidates heats up with every new license granted and every new market that opens. Salaries for positions in other sectors—like accountant, inventory specialist and warehouse worker—are “comparable” to cannabis, Yagielo added. That’s greasing the rails for candidates entering cannabis from other industries. Thanks to strong margins, many companies can pay lower-level employees well, too. Cura Cannabis Solutions, an infused oils manufacturer in Portland, Oregon, instituted a $14-per-hour minimum wage for all employees last November, while Eureka, California-based infused products company Papa & Barkley has a $15-per-hour minimum for all its employees. New employees are eligible for raises after three months. Providing hourly workers a strong starting salary and defined path that allows them to advance “pretty quickly” has helped the company find—and keep—the best people, said Papa & Barkley CEO and founder Adam Grossman. “We recruit with a mind toward retention and a long-term perspective,” Grossman added. Marijuana business positions typically pay as well or better than comparable positions in other industries. The labor market is tight now, particularly for specialized-skills positions that command higher salaries. Candidate competition is stiff for lower-level jobs. Stock options and other benefits are increasingly common methods used by marijuana companies to sweeten employee compensation. Salary figures can fluctuate regionally, within states and even within the same job categories. Understanding what’s driving these compensation trends can help executives make smarter compensation decisions that result in a happier, more productive workforce and successful company. In addition to a tight labor market, a major driving force behind marijuana’s rising salaries is the industry’s need for highly skilled positions such as ethanol and CO2 extractors, lead cultivators, compliance managers and in-house attorneys with cannabis law experience. 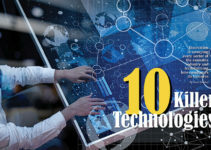 “I’ve been working on this for three years, and I have not seen it be as competitive as it is in today’s landscape,” Humiston said. Many cannabis companies are well capitalized, so they’re able to draw high-skilled labor attracted by the cutting-edge work that many cannabis businesses are doing in agriculture, extraction, dosing and delivery, technology and other areas. Yagielo agreed. A cannabis company seeking a senior cultivator or extractor with 10 years of commercial experience and an advanced degree is going to have a relatively small candidate pool to pick from. The more specialization a job requires, the more it’s going to pay. Salaries of high-level workers can also be expected to increase as facilities grow and staff become responsible for a greater number of plants, increased extraction production and rising sales quotas. The compensation picture is also bright for entry- and lower-level workers. While those open positions fetch hundreds of resumes, most candidates who get the jobs can expect the same or better compensation as comparable jobs in other sectors. For example, budtenders make more money than bartenders, retail salespeople and pharmacy aides. 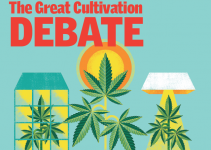 Trimmers do better than agricultural crop graders and sorters and greenhouse or crop workers, while edibles workers are better paid than bakers, general food processors and cooking machine operators. To be sure, not everyone believes marijuana industry salaries are better than those in other industries. In fact, the high cost of doing business in cannabis—for example, steep compliance fees and taxes that are pricier than those in other sectors—drives salaries down. 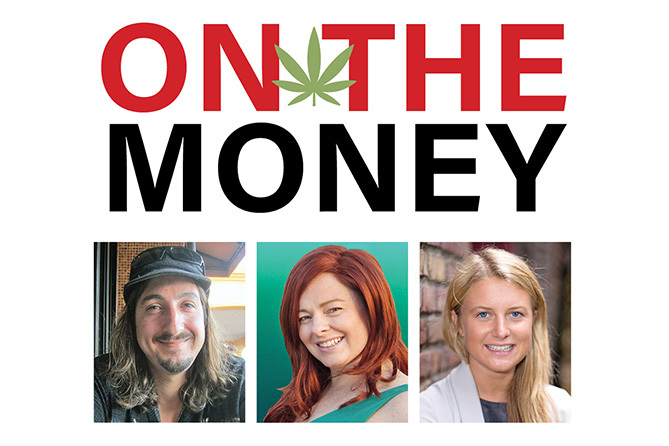 “In certain markets, because of the cost of compliance, because of the taxes, you just don’t see salaries at the same level as you would in similar industries,” said Kara Bradford, CEO of Viridian Staffing, a cannabis recruitment firm in Seattle. The oversupply of cannabis—particularly in western markets such as California and Oregon—is forcing down prices and eroding company margins, leaving less money for salaries and even resulting in layoffs. “In markets with lots of supply…we’re seeing layoffs and people taking salary cuts,” Bradford said. “It’s business owners looking at their margins and saying, ‘How are we going to stay in business?’” Because salaries are a big expenditure, they are often cut as a cost-savings measure. Bradford also said cannabis companies have been more likely to offer higher compensation early in their existences to woo job candidates but then cut salaries after a market has hit its stride for about 18 months. “We see a dip and evening-out in markets,” Bradford said. Nevertheless, new markets continue to open, creating fresh jobs in the cannabis industry. In most markets, that means salaries will continue to rise. “We definitely think they’ll continue to grow over the next few years. As companies start to enter this next phase of growth—where they have to hire for growth and bring in senior management and the best-of-the-best talent—salaries are going to continue to grow,” Vangst’s Humiston said.